Prague is chock-full of possibilities and experiences. It is a city that will reward you no matter what you are looking for. Should you spare some time for shopping in Prague, the area around Wenceslas Square comes highly recommended. Formerly a site where demonstrations against communism took place, Wenceslas Square is today a commercial and entertainment centre of the city. It host numerous international and local shops, as well as hotels, restaurants and nightclubs. In the area you will find precious metal and crystal shops like Besser Gold and Erpet Bohemia Crystal, as well as popular British department store Debenhams and Dutch C&A. Marks & Spencer, VAN GRAAF and New Yorker have a store here too, as well as many other world-famous brands. Just a short walk from Wenceslas Square you can find Palladium shopping centre. Situated in an impressive, centrally located building that combines historical architecture with modern design, Palladium houses more than 200 shops, restaurants and bars on its five floors. You will find world’s best known brands here, along with the best local ones, all surrounded by a truly breathtaking ambiance and creative design. Big part of Prague’s local life are farmers markets, held regularly and offering wide selection of authentic products and homemade food. 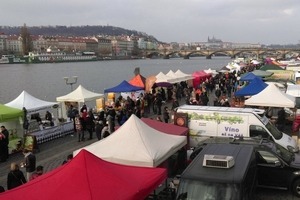 One of the most interesting ones is the Naplavka Farmers’ Market, situated on the south end of the eastern bank of Vltava river. 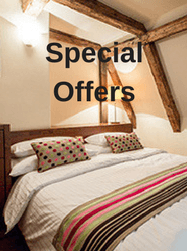 The location makes for a beautiful view of the Charles Bridge and Prague Castle, and the market’s offer is sure to make you fall in love with Prague local life. Here you can buy fresh fruit, taste a local specialty klobasa and numerous local beers brewed all around Prague. 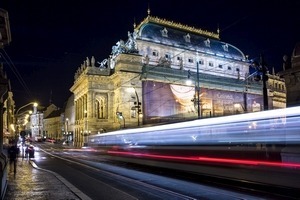 Prague has a lively and diverse theatre scene, ranging from classical to experimental shows, both in Czech and English language. One of the most important cultural institutions, the National Theatre (Narodni divadlo) is the national monument of Czech history and art. In more than 130 years of its existence, it has hosted both classical and modern shows in three of its ensembles – opera, ballet and drama. The National Theatre performances are shown in its historic building, in the Theatre of the Estates and the Kolowrat Theatre, with shows often subtitled in English. 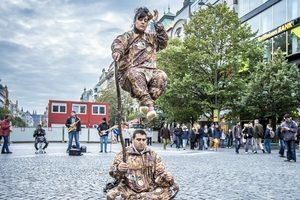 Prague is the world capital of black light theatre, a form of theatrical performance that takes advantage of human inability to tell black objects apart. The black light theatre adds ultra-violet light and fluorescence to the mix, to get all kinds of colorful shapes and movements on the stage. Performances usually consist of dancing and singing, and include mimes, puppets and animated films together with fascinating visual effects. Shows are suitable for adults and children and have no language barriers due to their focus on visual presentation. Some of the best black light theatres in Prague are Image Theatre and WOW.